Its for sale by First Time Fancy on her facebook page. I'd have to detach the medicine cabinet back and attach a wire to hang it. I'm worried it may be too small but do you agree that it should be a shape like this? Wider on the bottom and narrower on the top? I'm thinking maybe you need a little sparkle in there - there is a lot of white. 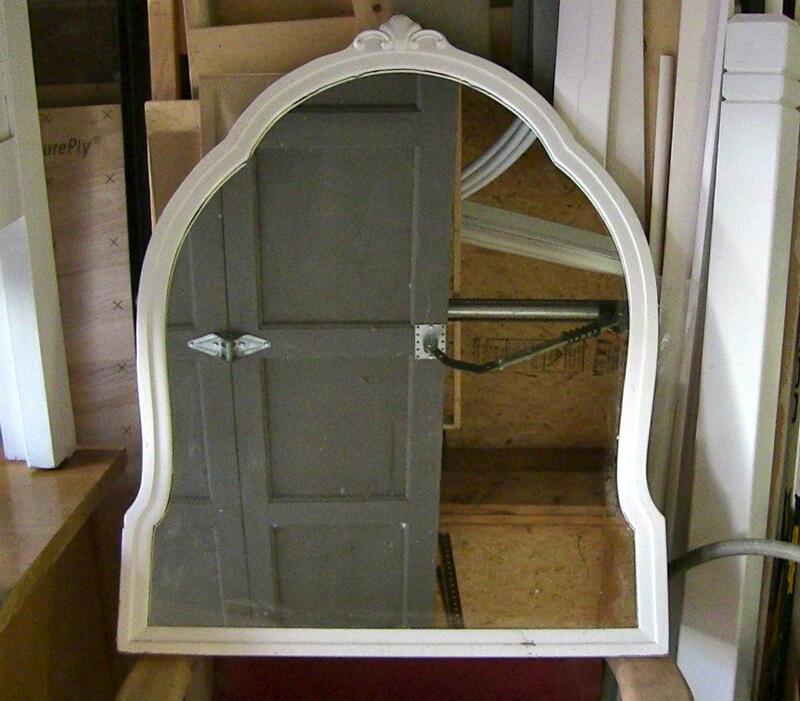 What about a mirror framed mirror like the one at Home Depot? I love the one Kerry is selling. Get it :) even if you end up putting it someplace else! Have you considered a not too ornate venetian mirror in an interesting shape such as an octagon? 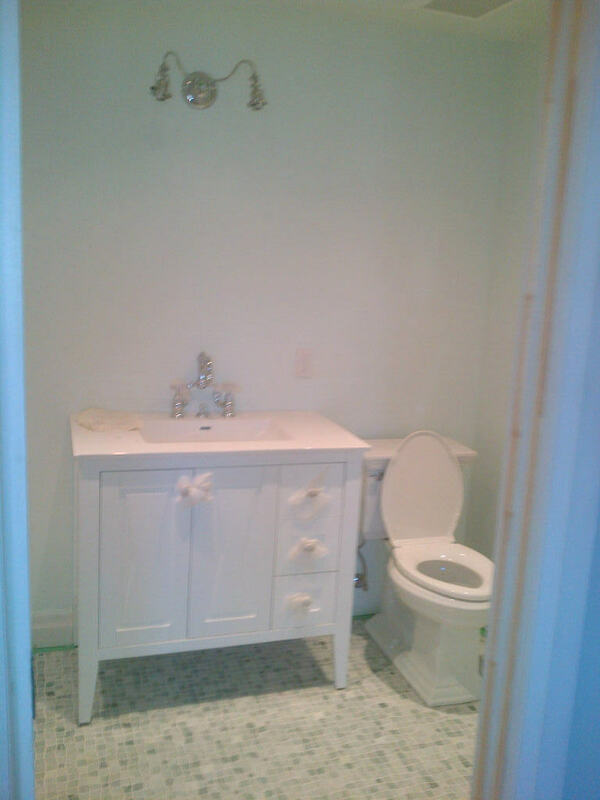 It could add some sparkle and character to the space. There are some interesting options on ebay, and sometimes Homesense has good ones. Hi Ava - I like the one in your photo. But agree with some of the comments about sparkle. You could always paint the frame silver to add some bling.